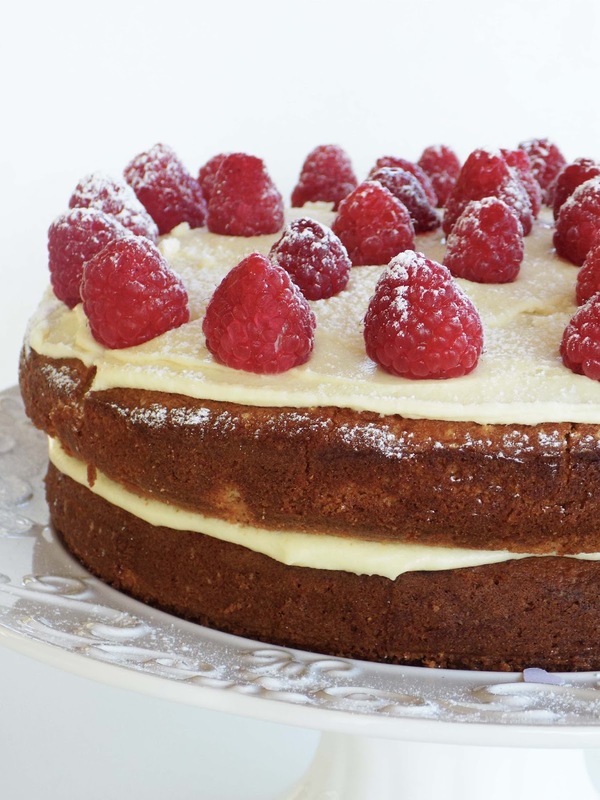 In honour of Valentines Day I thought I would whip up a vanilla cake with fresh raspberries, because we all deserve something sweet in our lives, even if it is just a slice of cake. This cake is one of my absolute favourites, moist and deliciously vanilla it pairs perfectly with almost any flavour icing. Because the cake is rather moist, it can be tricky to handle. It does however work quite nicely when it crumbles a bit as it gives the cake quite a rustic look. Enjoy sipping on some bubbly while sharing this cake with your loved ones. For my double layer cake you will need to double this recipe. 2. Cream together butter and sugar in a freestanding electric beater. 3. Add beaten egg. Add flour alternately with milk. Then add baking powder, salt, vanilla essence and almond essence. Your batter should be a light creamy texture. 4. Grease two sponge cake tins - I only had one so I made my cakes in two rounds. I also cut out wax paper for the bottom of my tin. I did this just to ensure that my cakes came out - remembering that this cake is crumbly. 5. Pour the cake batter into prepared tins and bake for 25-30 minutes. Once the cakes are completely cool, remove them from the tins onto wire racks. 1. Sieve icing sugar into a bowl. 2. 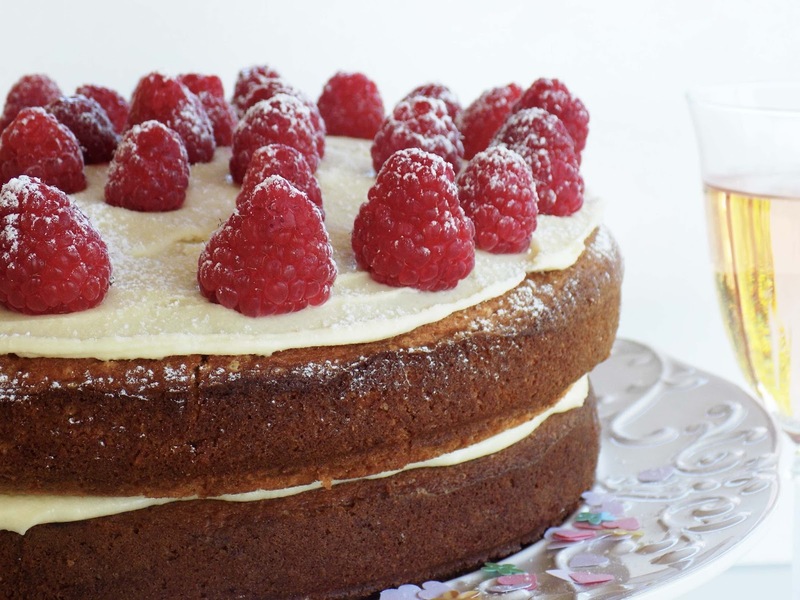 Add butter to the icing sugar, beat with a freestanding electric beater or hand held one. 3. Add the vanilla essence and milk to the icing and beat in. Place one of your cakes onto a plate, and spoon half of the icing on, and spread over the cake. Place your second layer of cake on and spread the remaining icing evenly over the cake. 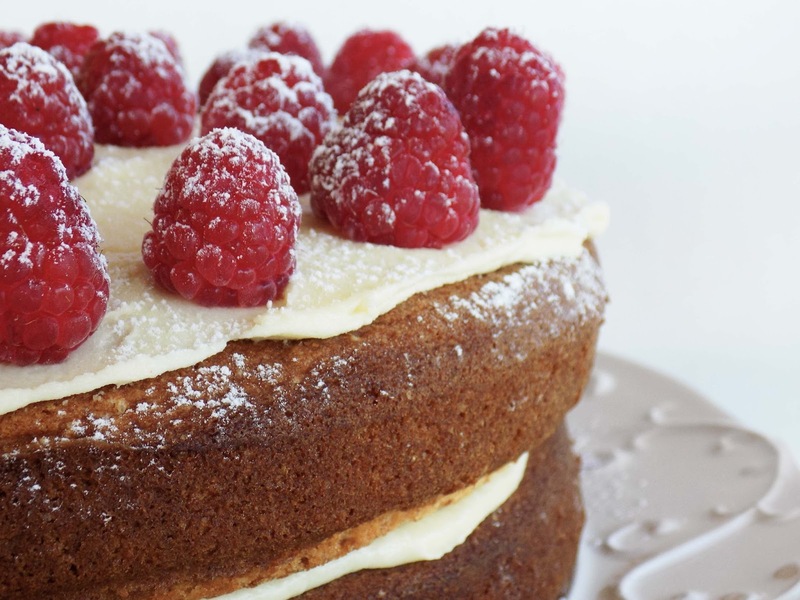 Decorate with the fresh raspberries and dust with icing sugar.